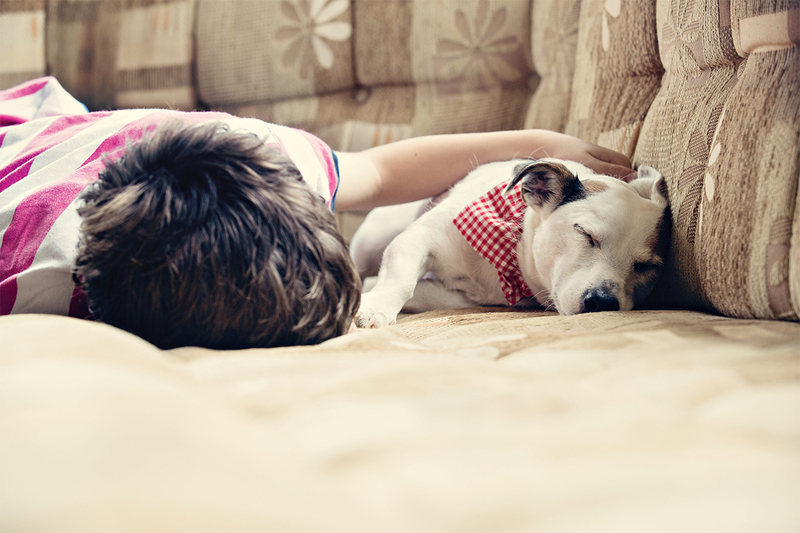 It can be heart-breaking saying goodbye to your furry companion when going away on holiday, especially if you have to send them off to someone unfamiliar to them. But never fear! At Away Resorts we’re passionate about making memories with the whole family, and that includes your four-legged friends! As of this year, we now allow dogs to stay in all accommodation grades. Watch their tails wag like crazy whilst living it up in the Rockstar, or encourage them to put their paws up in the relaxing Zen – a great way to recharge their batteries before chasing those pesky squirrels! All 5 parks are surrounded by beautiful environments waiting to be sniffed ‘n’ licked. Take a look at some of our favourites! With over 140,000 acres to explore right on your doorstep, The New Forest is the pawfect location for your dogs to run, sniff and lick to their hearts content! With dog friendly pubs, restaurants, museums and even a steam train dotted around the forest, you don’t need to worry about your friend missing out. 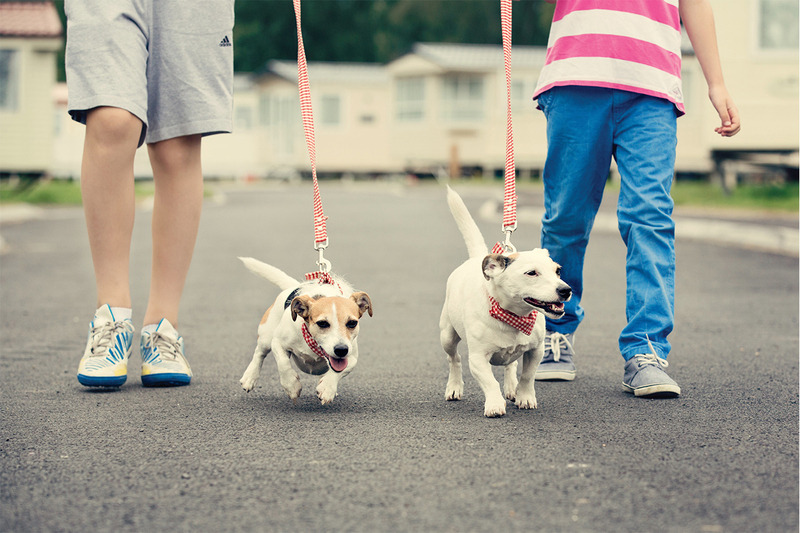 Top tip – Hire one of our doggy trailers from the cycle centre to cover even more ground of the New Forest and watch your dog’s ears flap in the wind! 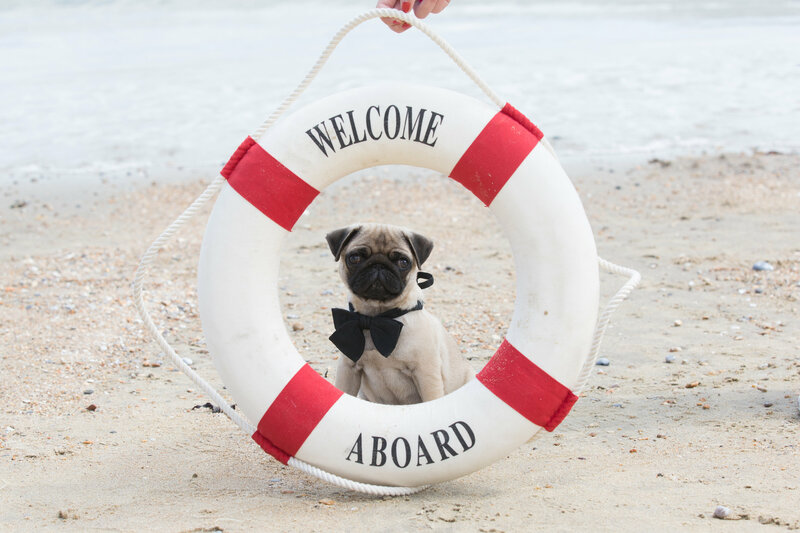 Getting to the Isle of Wight with your pet is a piece of cake, as dogs travel free on ferries! Once you’re on the island there are many terrains for your dogs to run wild; woodland trails, clifftop walks and beachside rambles – it’s a doggy paradise! 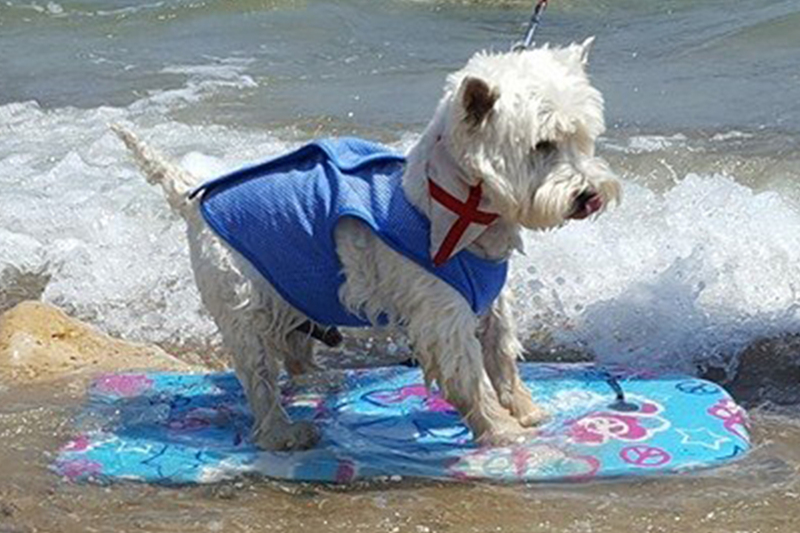 If you prefer staying closer to home, Whitecliff Bay Holiday Park has its own dog friendly beach located just a stone’s throw away from the park. Watch your lovable pooch jump for joy over the waves at Barmouth Bay one day and spend the next getting lost in the lush Snowdonia National Park. There are plenty of gentle, sandy and mountainous trails to tire out all 4 legs (and yours) at your Barmouth Bay stay! 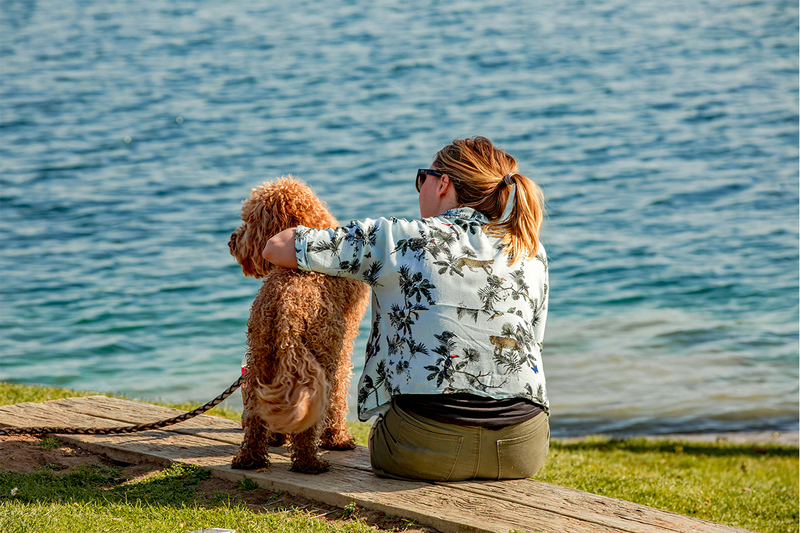 We’re lucky enough to be surrounded by not one but ten beautiful lakes at Tattershall Lakes holiday park, and you’re welcome to explore them all with your furry pal. * If you’d like to venture out of the park, there are plenty of natural paths and canal walks for you to enjoy -and even a medieval castle which welcomes dogs to explore the grounds. Dogs are welcome all year round to on the island’s beaches and public right of ways. On the west side take a stroll along the fishing village whist taking in the salty sea air, or on the east, watch your dog roll around the meadows and splash in the sea at Cudmore County Park. Like what you hear? Then get booking! Our short break holidays (under 5 nights) start from just £30 and our longer breaks (6 nights or more) start from £50. 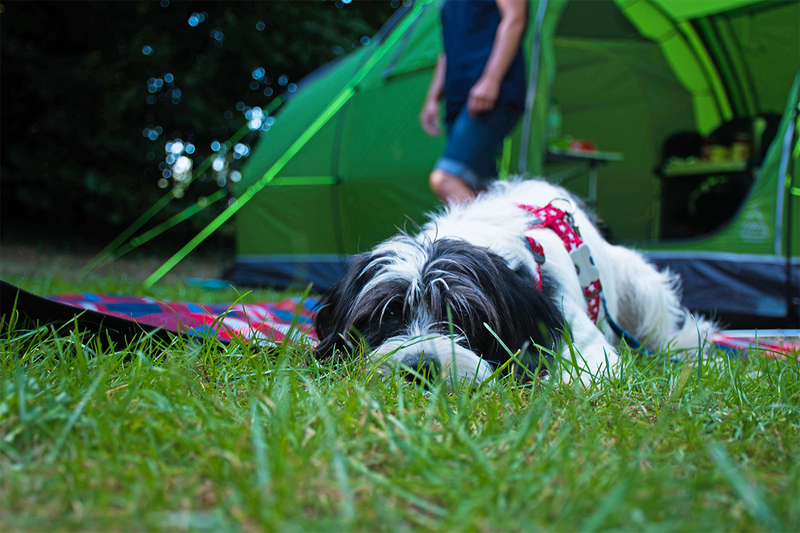 You’re also welcome to bring your dogs touring & camping from £2 per dog, per night, at Tattershall Lakes, Sandy Balls and Whitecliff Bay. For more information, please click here. 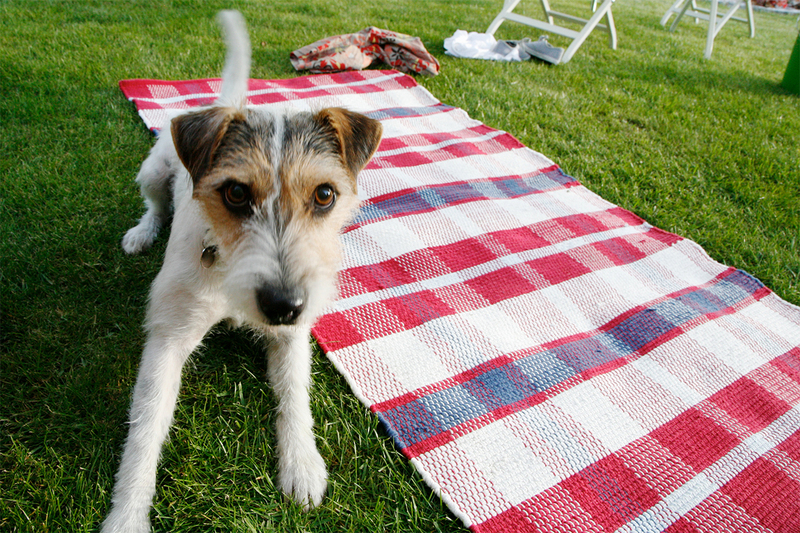 It's time to treat your dog to a holiday! Click to start your doggy adventure! All aboard the Mary Rose!